Frisco, Texas (Oct. 22, 2017) - Toyota Stadium looms over the 17 fields at the Toyota Soccer Center, host to this weekend's Development Academy Central Regional Showcase. As U-13 and U-14 players take some of the first big steps of their individual development pathways in Frisco, Texas, the end goal is literally on the horizon. Kellyn Acosta, Jesse Gonzalez and more have risen from FC Dallas' vaunted youth Academy to the professional ranks as Homegrown Players. Hours after the Showcase's final whistle, the FC Dallas first team will take the field at Toyota Stadium against the LA Galaxy for a clash between the two league leaders in Homegrown players. 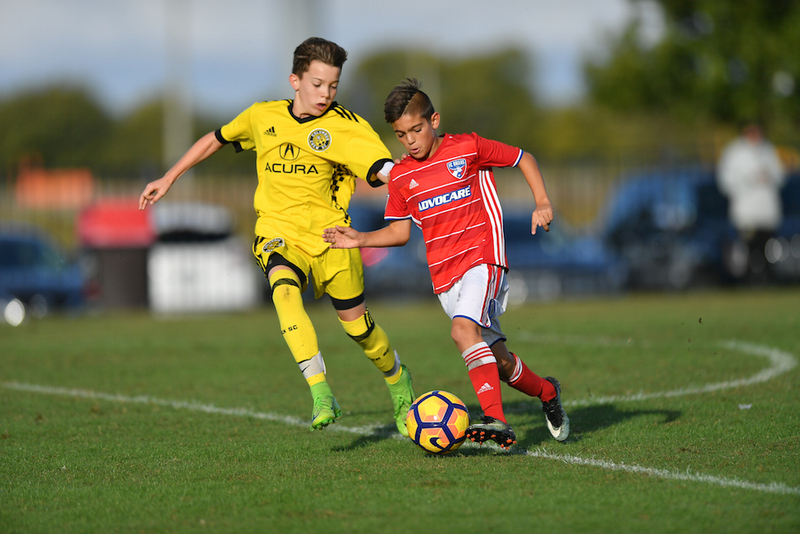 The Showcase represents one of the first steps for elite player development as MLS Academies are proving that they can guide players through the pathway, from the U-13 and U-14 level on the fields just steps from Toyota Stadium all the way up to the pros. "It's not a dream anymore, it's a reality for us," said Luchi Gonzalez, FC Dallas Academy Director. "We know we can do it (produce Homegrown players), we want to do it better." While the Toros lead the league with nine Homegrown products on their first team roster, Homegrown players are becoming more of a standard league-wide. With the Development Academy now in its eleventh season, 73 clubs provide a full pathway in world-class environments conducive to helping players reach their full potential. Twenty-two Academy clubs are affiliated with the M.L.S., providing a clear pathway to the professional ranks. "When does a player become a professional? It's not when they sign a contract," said Declan Jogi, Sporting Kansas City U-14 head coach. "They become a professional when they start thinking like a professional. When you think like one, you behave like one. We do it daily in the Academy, but events like the Showcase give them opportunity to experience what it's like to be in a professional environment on gameday." For Jogi and the rest of the Academy staff, the Academy is like any other school: a place for education. The lessons stem from the first team and reach all the way down to the U-9 level, youth players' first interactions with the club. From then on, it's a systematic schooling in becoming better players, playing Sporting's style and understanding the game. Four core values make up the Sporting Kansas City Academy's foundation, and they're organization-wide: a team-first mentality, work ethic, intelligence and pursuit of excellence. The Academy's goal isn't just to produce first team players for Sporting Kansas City, it's to produce professionals that are capable of playing in any respected league. A strong vision as bedrock to a first-team pipeline is also key to Columbus Crew SC's Academy. Their vision: guide players to their maximum potential. Playing-up is encouraged, even if it costs wins at lower age groups. Players' best interests are always prioritized. Crew SC Academy General Manager Dennis Sanchez realizes that executing a vision and realizing a player's full potential isn't one single person's job, it's a group effort that runs through the entire Academy and beyond. "There's a lot of moving pieces," Sanchez said. "It starts from the grassroots coaches at a young level to develop the intrinsic motivation, to the players going into a competitive environment and enjoying it. Then, moving into the upper echelons, the elite levels, and helping put the final touches on the players. It's not just one group that's doing it, it's multiple facets that are coming together to work towards a common vision and helping the game grow." As Homegrown players rise to prominence as National Team call-ups and MLS All-Stars, it's important to remember that an individual's success isn't just his personal success, it's driven by those around him. 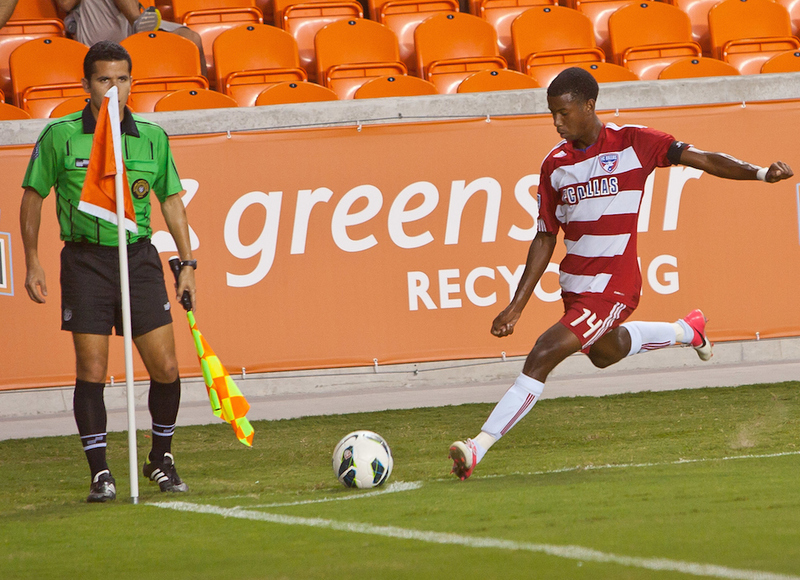 Case in point, FC Dallas' newest Homegrown signing, forward Bryan Reynolds. "It's a group effort every day. It's not one coach or one director or player," Gonzalez said. "The teammates of Bryan Reynolds helped him get where he is. He knows that, he's grateful for that. He doesn't want to let them down. He's going to work extra hard to fight for the club, for the jersey and show why the club has decided to trust in him." One benefit for Reynolds and the newest class of Homegrown signings is that their pathway is no longer uncharted. There's a growing list of proven cases from MLS Academies. The next wave is arriving, as six players from the U-17 Men's National Team, including Reynolds, have already signed Homegrown contracts. "Generations are graduating now through the program," Gonzalez said. "With that is tradition. Bryan has had some really positive role models. Now, he's in a position to create his own history." Those role models aren't just posters on Academy players' bedroom walls. They're co-existing and training in some of the same facilities and working under some of the same coaches. In some cases, they're even serving as coaches. Crew first team players will lead training sessions for the Academy as often as once a week. In keeping to the Development Academy's high standards, they've gone and earned their U.S. Soccer "B" coaching licenses, a requirement for any Academy coach. For players with sights set on playing professionally, proven Homegrown success is an essential example to follow. "It gives you a reference point," said Jogi. "It's hard to look towards something you can't see. If you see these players that have come through and earned that recognition, it shows that it is a reality. It is something that can happen." But a professional contract doesn't represent crossing the finish line. Reynolds signed his contract at 15 years old, becoming FC Dallas' youngest-ever Homegrown signing. It's clear that he still has a long road ahead. "Even though he has a pro contract with us, he's only getting started," Gonzalez said. "He has a lot of development to go. I think players develop physically, mentally, tactically, technically until they're 21, 22 or 23. He's still in the pathway, he's still developing. That doesn't stop any time soon." The young Homegrown players at Toyota Stadium on Decision Day aren't finished products. Only one of FC Dallas's nine Homegrowns is older than 22. With Gonzalez's timeframe, even Men's National Team players like Acosta and Jesse Gonzalez still have work to do to reach their full potential. The Development Academy sets the foundation for this continued growth, allowing world-class players to develop to the best they can be. "It's just the next step. What's very important for us is an education," Jogi said. "The culture, the core values. A lot of it has to do with developing good people. We're not only developing them to the point where they can sign contracts, but they are strong enough people and good citizens that can deal with being a professional."